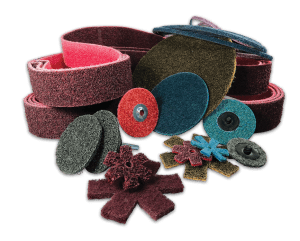 Surface Conditioning and Abrasive Manufacturing - ARC Abrasives, Inc.
ARC Abrasives, Inc. is one of only two SURFACE CONDITIONING manufacturers in the U.S. From our own in-house material, we produce all forms of surface conditioning products, including belts, discs and quick-lok discs. We continuously work to source the finest coated abrasives for finished product manufacturing in Troy, Ohio. Our commitment to the highest ratio of performance vs. price compliments our large offering of abrasive products. Since 1960, ARC ABRASIVES INC has defined commitment as the process of understanding customers’ needs. Unlike our competitors, we go beyond selling products – we evaluate applications to provide individual metalworking solutions. 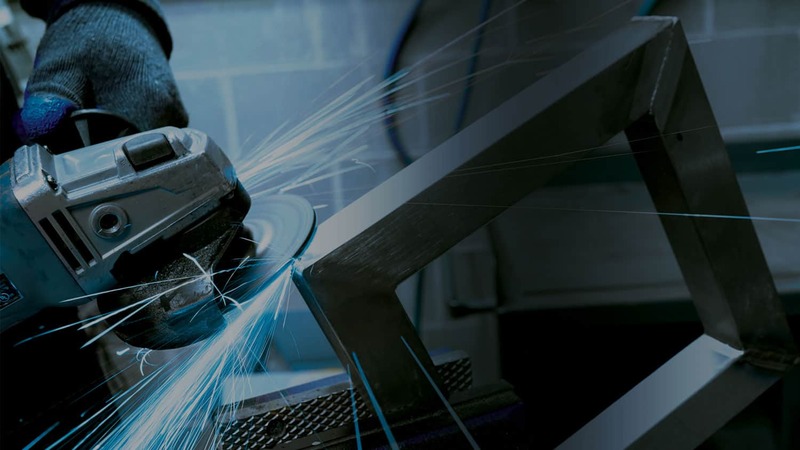 Through countless hours of training and hands-on experience, we offer an innovative sales force, highly skilled in abrasive metalworking applications. Our goal is to create cost savings and process improvements for you. It is our understanding that successful product development depends on the ability to work in the field to determine the needs of our customers’. We are committed to developing innovative products that are unique and proprietary. ARC Abrasives is vigilant in our pursuit of quality. After all, it’s not just our company that stands behind our products, it’s the family name. Under the second generation of family ownership, ARC is the only abrasive manufacturer/converter that is ISO 9001:2015 certified. We have made a deep commitment to understanding everything about abrasives and surface conditioning in the metalworking industry. This mind set has taught us to separate our products and services based on the three actions: Weld Removal, Deburring & Flash Removal, Metallic Surface Finishing. This segmentation is an everyday guide to make sure we give you the very best abrasive product for your application. Our segmentation is the key to providing the correct abrasives to the metalworking industry. 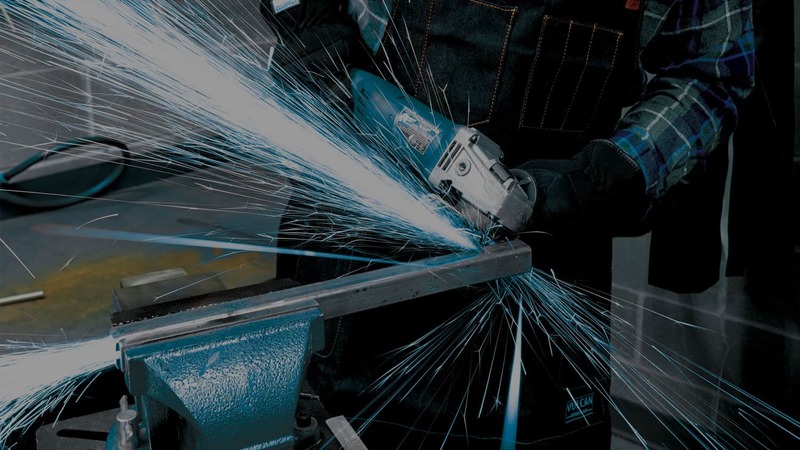 Understanding how our products perform within Weld Removal, Deburring and Flash Removal, and Metallic Surface Finishing applications are critical. Before we test products on your shop floor, our products are tested against the competition in our on-site lab to ensure we offer the best solutions for your application needs. 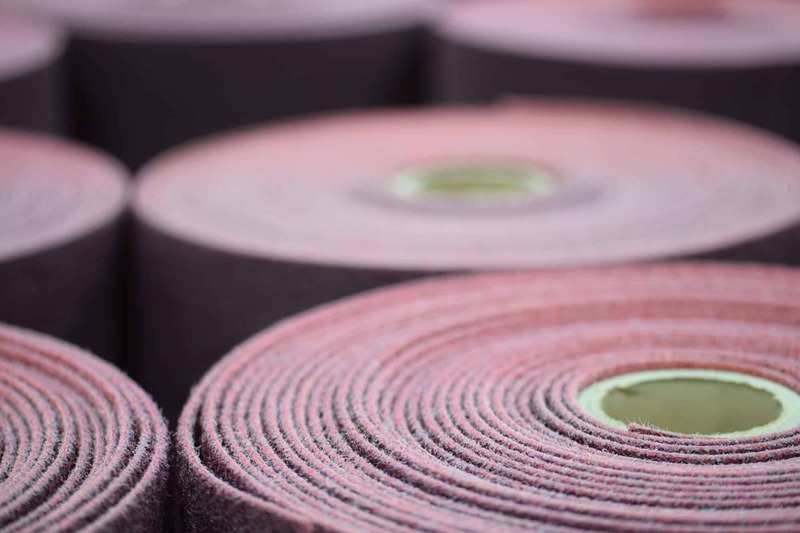 Once an on-site assessment is complete, we can provide an alternative abrasive product to improve your abrasive and surface conditioning needs. Shortly after the first PSA Disc, Ms. Stayman’s company grew to a workforce of five people working out of a rented garage. As the PSA Discs grew in popularity, more products were introduced such as Cartridge Rolls and other specialties. As the product lines expanded, so did the facility. The Staymans moved ARC Abrasives, Inc. to its current location in the mid-1980’s. After the relocation ARC Abrasives, Inc. started producing Belts, followed by a Quick-Lok line in 1992, and a Flap Disc line in 1998. 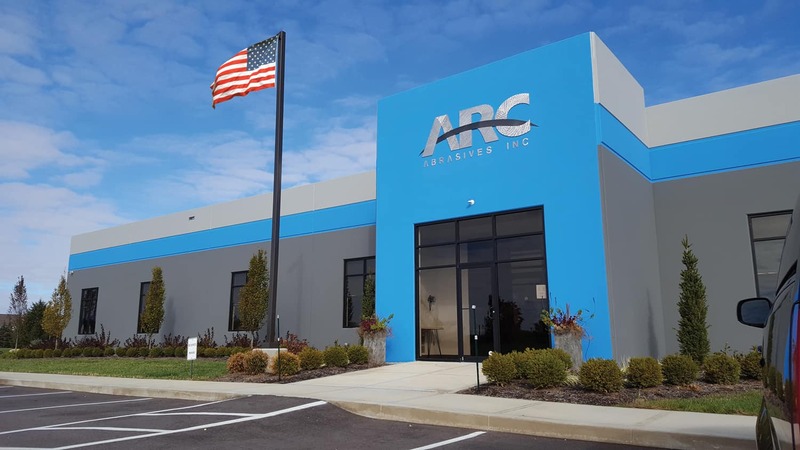 After much product success, ARC Abrasives, Inc. introduced the 24-hour-delivery guarantee. 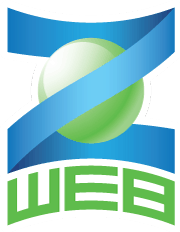 Z-WEB delivers worry-free applications, allowing strict control on critical tolerances and avoiding damage to work pieces. New layers of abrasive grain are continuously exposed during use resulting in a consistent, repeatable finish. ARC ABRASIVES is changing the game by adding the latest in ceramic grain technology to their abrasive line. ARC® APEX Premium Ceramic abrasives attack the metal working industry with enhanced cut ratios, longer life, and cooler operation. PREDATOR is a premium blend of proprietary coated abrasives, resulting in cost savings through productivity enhancement and product life. Successful product development depends on the ability to work alongside you in the field to determine the needs of your clients. PREDATOR is a direct result of years of field research and laboratory development.